GNF Paste is a complementary feedingstuff containing a combination of minerals, amino acids and a prebiotic which have a role in general metabolism and are required for normal feed conversion. GNF Paste is a combination of minerals, amino acids and a prebiotic which have a role in general metabolism and are required for normal feed conversion. It should be used to complement the feedingstuff of horses. Feed two 80g servings per day for 14 days. (one 80g serving in the morning prior to feeding, and one 80g serving prior to the afternoon/evening feed). GNF Paste can also be fed for maintenance of a healthy digestive tract by feeding one 80g serving per day. (40g in the morning prior to feeding, and afternoon/evening feed). Alternatively as a maintenance nutritional adjunct feed 100g of GNF Pellets per day divided between the meals. Fructooligosaccharides can remain available as substrates for microbial populations to utilise, and thus promote increased intestinal efficiency. Is an essential amino acid and studies have shown that restriction of this nutrient may limit intestinal mucin synthesis and reduce gut barrier function (Hamard et al., 2007;Faure et al., 2005). L. hyperborea contains higher amounts of vitamins, minerals and proteins, when compared to conventional vegetable sources (ibid.). Rich in mucilage it will soothe inflammation internally. 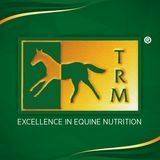 It is an easily assimilated food particularly in young foals and elderly horses. The action of slippery elm is gentle and will not harm the most sensitive of horses. The mucilage of slippery elm is a demulcent and emollient to the digestive system. A demulcent is an ingredient that is able to form a soothing layer over mucous membrane, gastric mucosa, and therefore provides a soothing action. A emollient soothes and softened by preventing water loss. Propylene Glycol, Glycerine, Sorbitol, Calcium Carbonate (10,000mg/80g), Seaweed Meal (from Laminaria Hyperborea) (5,000mg/80g), Magnesium Hydroxide (5,000mg/80g), Fructooligosaccharides (5,000mg/80g), Slippery Elm (4,000mg/80g), Glutamine (1,900mg/80g).